Surround baby with a lush warm hug with this bunting. 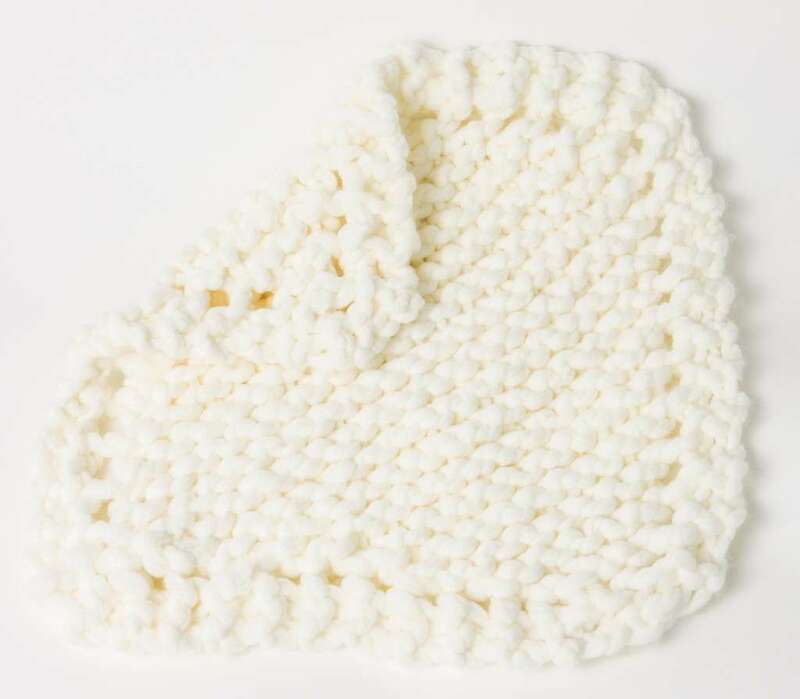 Knit in luxurious soft yarn to provide baby with a soft cocoon to nap for hours. Knitting Loom: Zippy Loom, 5 Zippys (20 pegs total). Yarn: Approx 75 yards of super bulky weight yarn. Loops & Threads Chunky Yarn was used in sample (approx. 3 skeins). Size: Approx. 27 inches long x 19 inches wide. 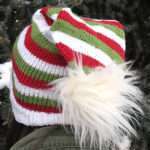 Notes: Pattern is worked with the ewrap stitch and the purl stitch. Worked from top to bottom. Cast on 20 stitches (from right to left). Row 1: p to the end of row. Row 2: k to the end of row. Repeat Rows 1 and 2: 3 more times (4 garter stitch ridges). Next row: Place a stitch marker at the first stitch (on the stitch itself, not the peg). K to the end of row. Repeat last Row 17 more times. Decrease row: Move the stitch from peg 2 to peg 3. Move the stitch from peg 1 to peg 2. Move the stitch from the peg 19 to peg 18. 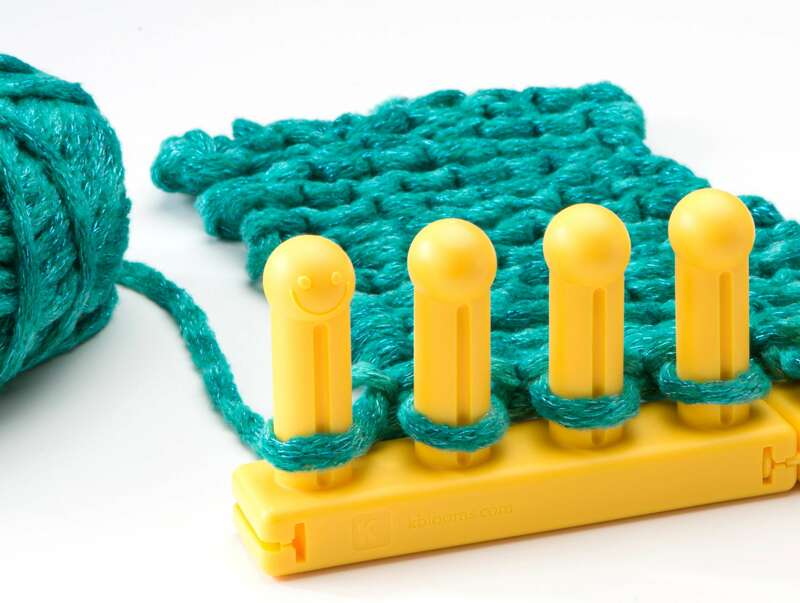 Move the stitch from peg 20 to peg 19: K to the end of row, treat the pegs with two loops as one loop. (18 sts rem). Continue decreasing in this manner until 2 sts rem on the loom. Cut working yarn leaving a 20 inch yarn tail. Use yarn tail to mattress stitch down the side until you reach the row with the stitch marker. Weave ends in. Block if necessary. 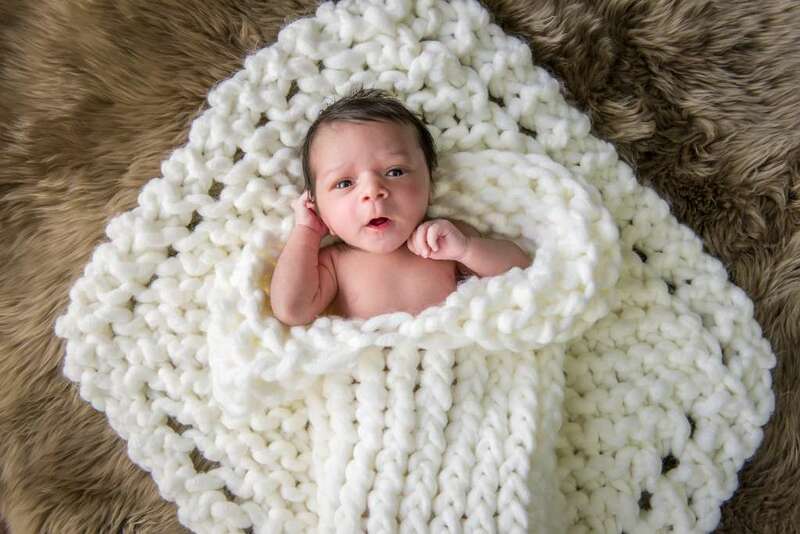 Baby’s first blanket is a special treasure that stays with baby into toddler years. Blanket is worked in super soft, luxurious yarn that is so soft to the touch and a classic pattern worked from corner to corner. Yarn: Approx 75 yards of super bulky weight yarn. Loops & Threads Chunky yarn was used in sample. YO=yarn over (ewrap peg. On following row, undo ewrap and place this piece of yarn in front of the peg). 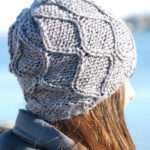 Notes: Pattern is worked with the ewrap stitch and the purl stitch. Cast on 4 stitches, from right to left. Row 2: k2, yo, k to the end of row. Row 3: p2, yo, p to the end of row. Repeat Rows 2 and 3 until you have 20 stitches on the loom. Next row: k2, k2tog, yo, k2tog, kto the end of row. Next row: p2, p2tog, yo, p2tog, p to the end of row. Repeat last Row until you have 4 stitches on the loom. BO with basic removal method. Weave ends in. Wet block to measurements.